Kia has just recently revealed its new Cerato K3 in America. 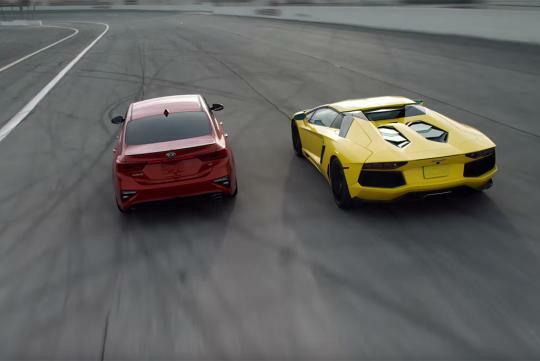 Feeling pretty confident about its new product, it decides to compare its compact sedan against a supercar, on a track. The supercar they have chosen is nothing lesser than a 6.5-litre V12 690bhp Lamborghini Aventador. Hmmm. Looks like Sylphy to me... Shape like more exec look. Not so sporty anymore. Lol.. compare against Lamborghini = more lol..
Should compare the Stinger 3.3 with it. Who else believe that this is not a good comparison.